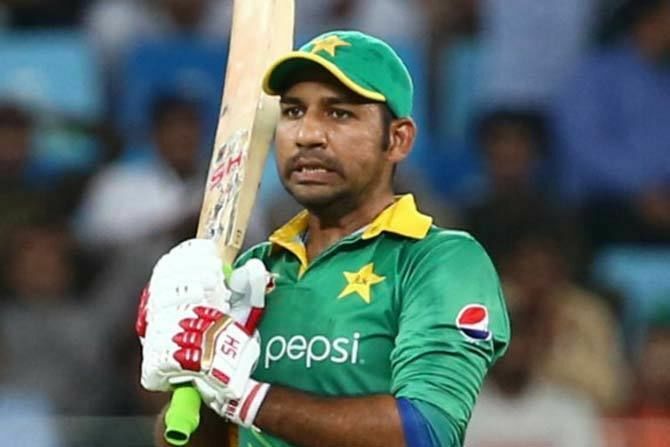 Sarfraz Ahmed (Urdu: سرفراز احمد‎; born 22 May 1987) is a wicketkeeper- batsman who plays international cricket for Pakistan and is also the current captain of the Pakistan cricket team in all 3 formats of the game. In addition to his captaincy duties, he led Pakistan to Champions Trophy glory in June 2017. Sarfraz was named as Pakistan's Twenty20 International captain following the 2016 ICC World Twenty20 in India, while he was named Pakistan's ODI Captain on February 9, 2017 after Azhar Ali stepped down. He took up the Test captaincy mantle for his team following the retirement of Misbah-ul-Haq and became the 31st Test captain of the Pakistan Cricket Team doing so. Sarfraz belongs to a Urdu speaking Muhajir family based in Karachi. He was born in Bahadurabad, Karachi. He is Hafiz-e-Quran which he became at the age of 10. In May 2015, Sarfraz married Syeda Khushbakht Shah. His maternal uncle Mehboob Hasan lives in Etawah, Uttar Pradesh. His son, Abdullah, was born in February 2017. Sarfraz's notable achievement during the early days of his career was winning the ICC U-19 World Cup in 2006 where he led the Pakistani team and defeated India in the final in a low-scoring encounter. Sarfraz was called up by Pakistan as a cover for Kamran Akmal who had a finger injury in the one-day series between India and Pakistan in November 2007. He made his ODI debut in the final match of the series, on 18 November 2007. He didn't get a chance to bat as Pakistan had won the match before he was needed to bat. In 2008, Sarfraz was selected ahead of Kamran Akmal for the Asia Cup. In 2015, Sarfraz was selected for 2015 Cricket World Cup but did not get a chance to play in the first four matches. Due to the first frequent losses, he was selected for Pakistan's fifth match of the event against South Africa where he scored 49 runs off 49 balls and took 6 catches as wicket-keeper to equal the one day international record for most dismissals(6 dismissals).Also he equalled Adam Gilchrist's record for the most dismissals as a wicketkeeper in a single World Cup innings(6) He was rewarded with the Man of the Match award. In his second match in the world cup he scored 101* against Ireland and he was again named the Man of the Match. The win gave Pakistan a spot in the Quarterfinals of the World Cup. He made his Test match debut in Hobart on 14 January 2010, in the third Test match against Australia, replacing Kamran Akmal who suffered an "error-ridden performance" in the second Test. He was dropped again after one match. Sarfraz returned to the international team for the ODI series against Sri Lanka in November 2011 and for the subsequent series against Bangladesh and the Asia Cup. In the final of the tournament he scored a crucial 46 not out (the highest score from his team) as Pakistan won the match by 2 runs. He was consequently rewarded a Category C contract and selected for Pakistan's next series against Sri Lanka, again for ODIs. After Misbah retired from the ODI format of the game after 2015 Cricket World Cup, Sarfraz was emerging to be a potential successor. However the PCB went with Azhar Ali for the captaincy and considering Sarfraz led the Pakistan U-19 team, appointed him as the vice captain of the ODI team. 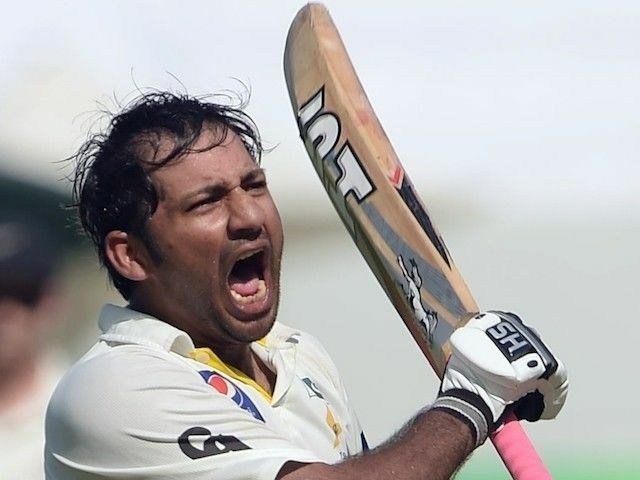 During the first Test against Sri Lanka at Galle, Sarfraz stabilized the Pakistan Innings by a knock of 96 runs in just 85 balls just could not score the century and was bowled by Sri Lankan pacer Dhammika Prasad. During his knock he became the 7th Pakistani wicketkeeper to reach 1000 Test runs, in 28 inns, jointly the fastest Pakistani wicket-keeper with Imtiaz Ahmed. The knock also gave him the Man of the Match award. 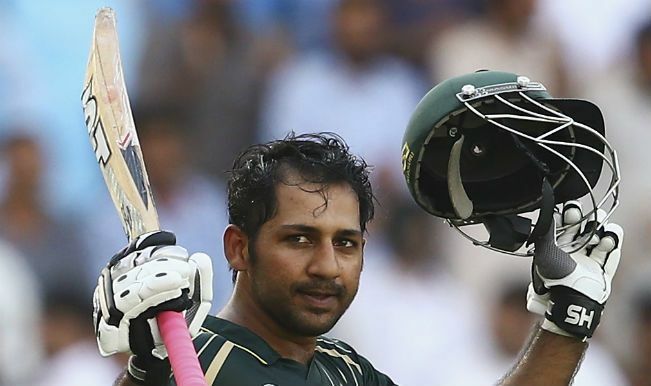 Sarfraz was dropped from the T20 series that followed the Test series against Sri Lanka. Many fans back home were shocked and started to raise questions. Pakistani coach Waqar Younis said on 6 August that Sarfraz is a key Pakistani player and he should be the next T20 captain of Pakistan. Due to a foot injury sustained by usual One day captain Azhar Ali, Sarfraz became the captain for the third ODI against Zimbabwe on 5 October 2015. He recorded first win in his debut match as captain. Sarfraz was picked by Quetta Gladiators in the PSL players draft on December 21, 2015. He was selected to be the franchise captain for the 2016 season. He led the Gladiators all the way through to the final, losing only two matches before it. But still his team just couldn't make it and they lost in the final to Islamabad United.He was the youngest and most successful captain in 2016 season. After a horrendous T20 World Cup 2016 campaign, the T20I captain Shahid Afridi was sacked and the PCB appointed Sarfraz captain of the national T20 team on 5 April 2016. He won his first match in the only T20I against England by nine wickets. Later his team defeated the 2016 ICC World Twenty20 champions, West Indies with a whitewash in a 3 match series. This was the first time that Pakistan has completed a whitewash in a 3 match T20I series.He is the second captain to win 6 consecutive T20I matches after Misbah-ul-Haq.and also 2nd ever captain to win first 6 matches as captain. His first major tournament as the captain was 2017 ICC Champions Trophy. In the pool matches, Pakistan lost to India, but went on to win against South Africa and Sri Lanka to enter semi-finals. In the semi-final, Pakistan beat the hosts England comprehensively to enter Pakistan's first Champions Trophy final. In the final against arch-rivals India, Pakistan posted a massive total of 338 and won the match convincingly to become the champions. First captain in the world to win first 6 T20I matches as captain. Second Most Test runs in 2015 by a Wicket-keeper. Second Most ODI runs in 2016 by a Pakistani cricketer.